RHU alumni continue to give their university ever more reasons to boast of their grand accomplishments. Numbering more than 2000, they are dispersed around the world in Lebanon, North America, Europe, GCC, Africa, and Australia. What makes RHU thrive as a community and a center for quality knowledge is its people, not only the outstanding faculty, staff and students, but the alumni who create and continue a legacy of excellence and distinction. RHU Development - Communication and Alumni Relations Office serves as the link between the university and its alumni. It practices leadership in the area of alumni relations, support, and development, ensuring that the RHU alumni family prospers. 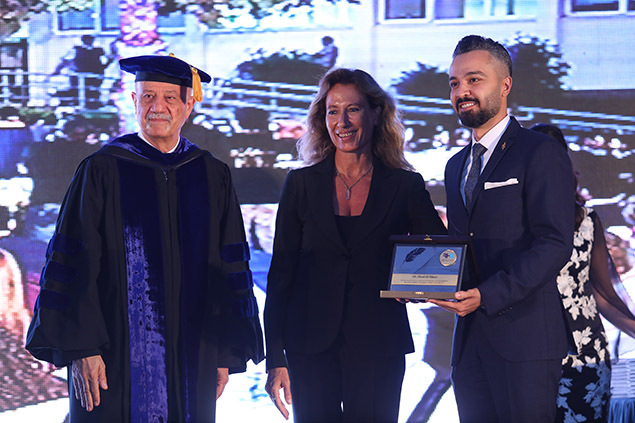 The Alumni Association of Rafik Hariri University was officially established on February 3, 2016. Registration statement numbered 205, dated February 3, 2016 and issued by the Lebanese Republic, Ministry of Interior and Municipalities, is the official legislative approval of the establishment. All RHU alumni are encouraged to join the RHU Alumni Online Community. You will need to have an RHU Alumni Account. Register now if you do not have one - this will help us verify your alumni status.